At our flooring store in Barrie, ON, we carry a number of different flooring options. When you decide to put new flooring in your Barrie, Ontario home, you want plenty of options to pick from. When you come visit us at Giant Carpet Flooring Centre, we are confident that you will be more than happy with the selection of options we carry at our flooring store. Some of the different flooring options that we carry include vinyl, laminate, carpet, hardwood, tile, and many, many others. If you come into our flooring store and find that you are a little bit overwhelmed by all of our options, don’t be. Since we pride ourselves on the level of customer service we provide, we will be right there with you during the selection phase. We have been running our flooring store out of the same location for 17 years. When you turn to us, we know that you will benefit from our wide selection of options, as well as our experience in the flooring industry. Once you pick out new flooring at our flooring store, the process doesn’t end there. We can come to your home and take care of the installation process in an efficient manner, so you can start enjoying your new flooring as soon as possible. As you get ready to enhance the aesthetics of your home with new flooring, make sure you come check out the selection we have to offer at our flooring store. If you want to know more about the types of flooring we carry, get in touch with us at Giant Carpet Flooring Centre today. At Giant Carpet Flooring Centre, our flooring store proudly serves residents of Barrie, Alliston, Angus, Newmarket, Cookstown, Innisfil, Bradford, Midland, Wasaga Beach, Collingwood, Muskoka, Gravenhurst, Bracebridge, Orillia, Thornton, Everett, and all of Simcoe County, Ontario. At Carpet Giant Flooring Centre in Barrie, Ontario, we are ready to help contractors, families, new home owners and more with our amazing selection and competitive pricing. 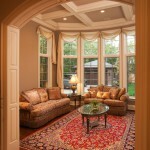 Add our free in-home consultation along with an on-the-spot quote, and you have flooring services that can’t be beat! Don't miss this opportunity to save $$$ on your next purchase of an area rug! Click the radio to listen to our new ad!